Joint bleeds are most common in the shoulders, fingers, wrists, knees, hips and toes. When the joint fills up with blood you can experience pain, but there are other signs you could be experiencing a hemophilia joint bleed. It is best to address the early signs before they progress to a more severe level. How does joint damage affect a hemophiliac? Hemophilia joint damage can be a challenge to deal with. It can certainly have an impact on daily activity. The joint damage can cause bleeding in the same joint over and over again, as well as loss of motion in the joint. In some cases, people still maintain range of motion yet experience a loss of strength in the muscles around the joint. Of course, pain is common when using the joint, but it can also be present when the joint is in a resting position. When a hemophiliac has joint damage in the knee or ankle they can also have difficulty running, dancing or riding a bike. In severe cases, walking without pain is impossible. For some people, doing tasks like carrying heavy loads, kneeling, getting up and down stairs, or getting in and out of the car can be much harder. For those who suffer joint damage in their elbows, something as simple as getting dressed, using a fork and knife to eat, or writing can be painful exercises. 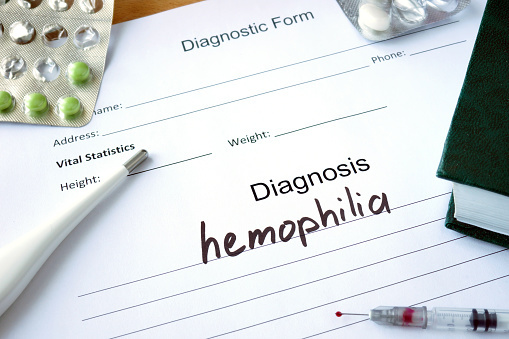 Hemophilia disease treatment is based on the severity of the condition and on the type of joint damage that a patient may have. In some situations orthopedic approaches can help manage pain and improve a person’s function so they can get on with their daily activities. However, in other cases, especially where repeated bleeding takes place, procedures called synovectomy can be performed. Synovectomy is conducted three different ways: two are through injection-like procedures and one is surgical. It requires the joint to be opened up and the synovium to be removed. Joint replacement is also a way to treat damaged joints in hemophilia. Knees and hips are the most common replacement. You can prevent hemophilia joint problems with exercise and good nutrition. Studies have long demonstrated that strong muscles help to support our joints, so a regular exercise routine is a good measure to take against joint pain. Physical fitness has also been shown to decrease the number of spontaneous bleeds. 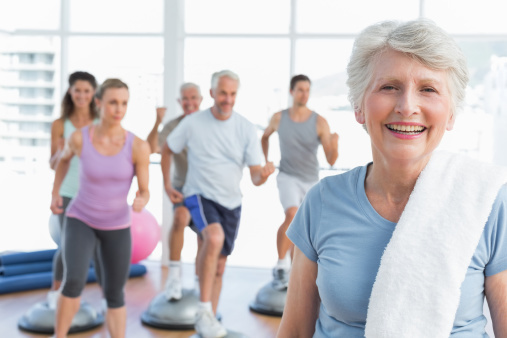 Steady exercise on a weekly basis can help people to maintain range of motion. It’s important to retain a healthy weight. Excess weight can put a lot of pressure on joints. The U.S. Department of Agriculture suggests a diet rich in whole grains, fresh fruits and vegetables and low in fats, added sugars and salt. Since medications and supplements can interfere with blood flow, it is very important that you discuss taking anything with your doctor first. 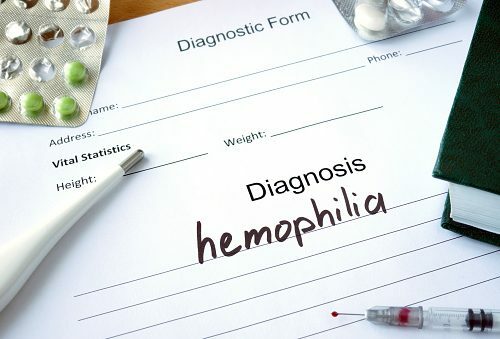 A person with hemophilia will have the condition for life, but over the years as we have learned more about the disorder and how to manage it, more people with the blood clotting and joint pain have reported living a more engaging life. It is not easy, but keeping track of symptoms, regularly visiting the doctor, maintaining a healthy lifestyle, and being surrounded by supportive family and friends, can make coping with the disorder easier.